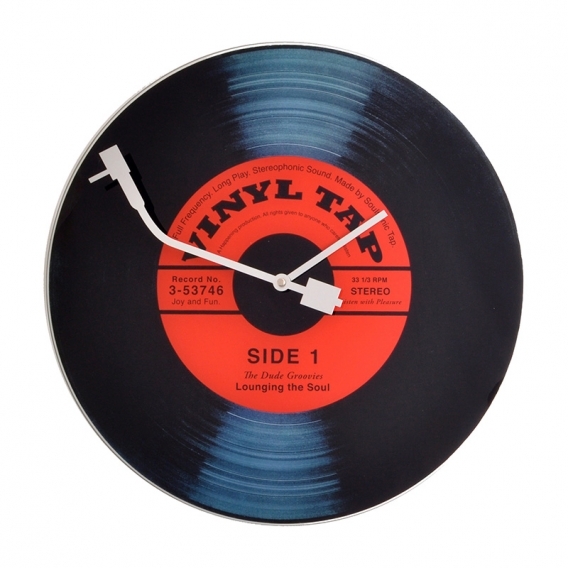 A guaranteed Rock’n’roll attitude for this original wall clock : although it represents an LP, it is entirely made of glass. The big hand looks like a white turntable for an impeccable deco effect. The dimensions of this vintage wall clock are 43 cm in diameter. If you are looking for a decorative object to complete your vintage ambiance, do not hesitate go for this astonishing glass wall clock. The face does look like a vinyl record with its central sticker showing the title of the record. 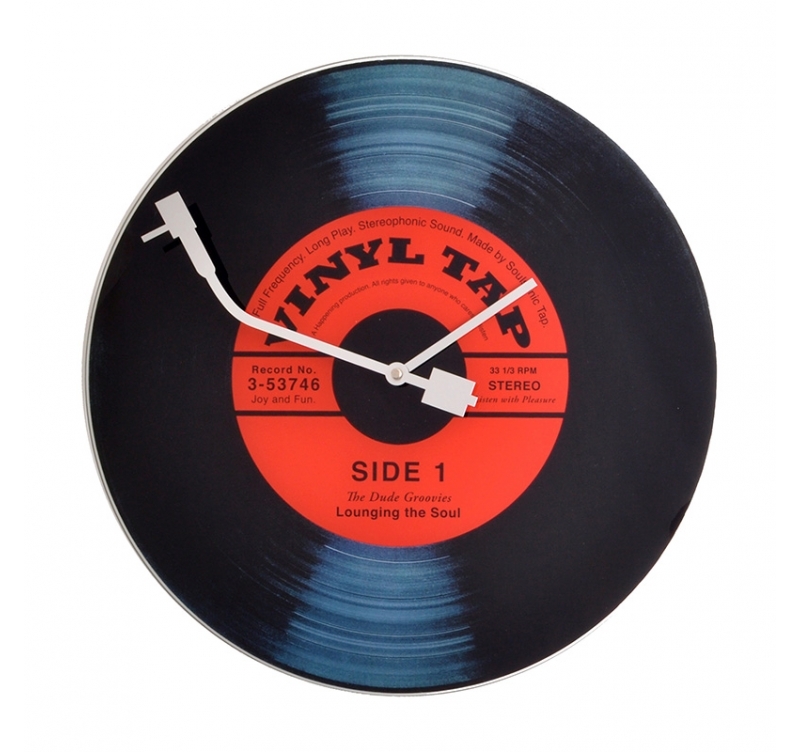 The big hand of the vintage wall clock looks like the playing arm of the turntable for a complete illusion : you will feel you have a real recordplayer hung up on your wall. 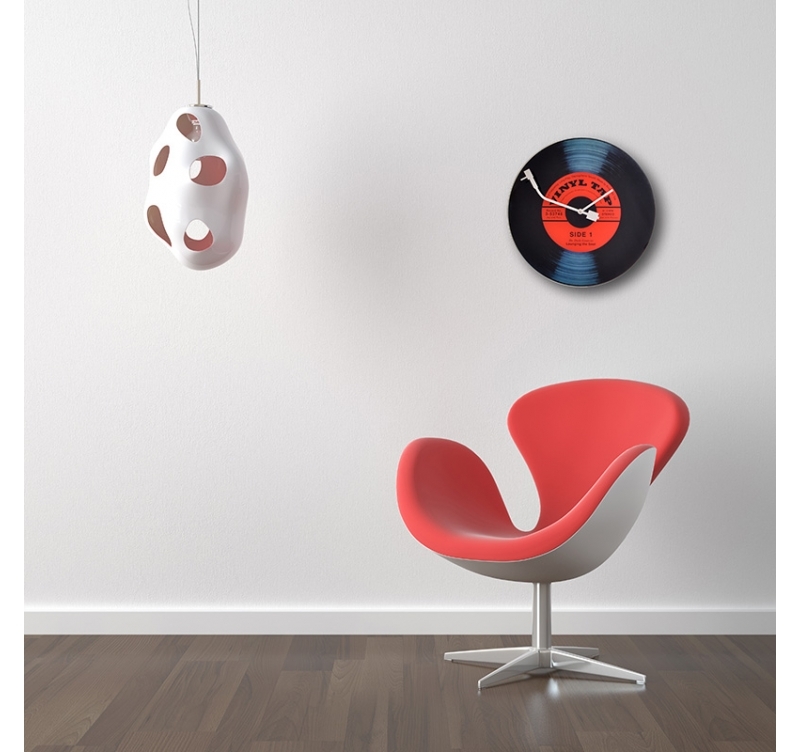 This deco clock will perfectly fit in a vintage deco lounge or a music-loving teenager’s room.